I fidgeted in the saddle, my knees still aching a bit from the ride a few days earlier. My horse shifted its weight impatiently, swishing flies away with his long, black tail. It took awhile to get everyone mounted and the horses were anxious to get started, each vying for a position near the front of the line. It was warm and dry when we started the trail up through the valley, along the mountain stream surrounded by fields of tall grass. I had no idea what was ahead, only that it would take several hours to reach the peak where we were to eat lunch. We had begun the slow climb through thick forests when we heard the first rumble. A Wyoming thunderstorm pops up quickly, blowing over mountain ranges and through valleys, ending as fast as it starts. The mountain trail was damp and dreary as the horses slipped and clumped along the muddy trail. As we ascended past the tree line, beautiful views surrounded us as mountain ridge after ridge created an unbelievable backdrop. The higher we went, the closer we came to the storm brewing overhead and the thunder clapped its threats to turn back. We reached our stopping place as fat, cold drops of rain began to fall. We huddled under a pine tree canopy, eating our sandwiches and wondering if the storm was moving on. The corral was hours away, the only way back was the way we came. Down the muddy mountain trail we clopped, wet and cold and longing for home. And it was on this trail, with a thunderstorm booming and rain pelting, riding a stubborn horse down sometimes steep mountain switchbacks, that I was reminded, once again, that I am not in control. Feeling vulnerable I did the only thing I could do in that moment — I trusted, I prayed, and I waited. By the time we reached the thick forest again the thunder and rain had stopped. Once in the lush, green valley the sun broke through, warming and drying us out. We reached the corral as expected all in one piece, tucking the ride away with the other memories from our Wyoming adventure. I have been wondering if God was going to prompt me to a word this year. I have been participating for the past two years in choosing a One Word, instead of making resolutions. Last year, my word was "Esteem" and the Lord used it to show me how little I thought of myself and to teach me how to "be loved" and valued. And the year before my word was "Fruitful" which really changed the way I approach ministering to others and how I participate in and understand the purposes God has for me. 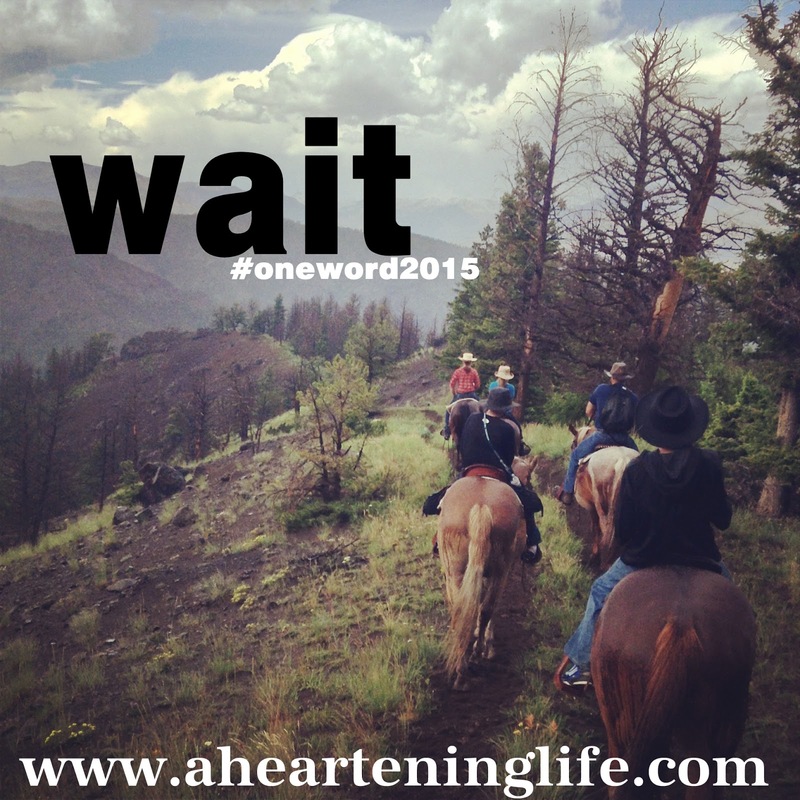 In some ways I think I have been hesitant to ask God about a word this year. It didn't seem obvious right away and I have been writing here less and less (as you may have noticed). I don't know why this word makes me nervous. 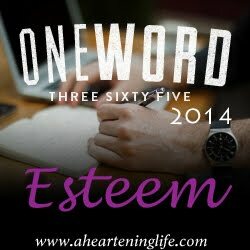 I wasn't good at "esteem" when it became my word last year, but it was a journey God took me on and I feel like I am better for it. A few years ago I would have said waiting, for me, was impossible. It wasn't in my genes to wait. I am a do-er. End of story. But the last year or so there has been a quiet pull. A deep prodding to stay and wait — in the valley, in the storm, in the darkness. Like the seedlings we plant in May growing and blooming and producing fruit in July, God has been asking me to wait and see. 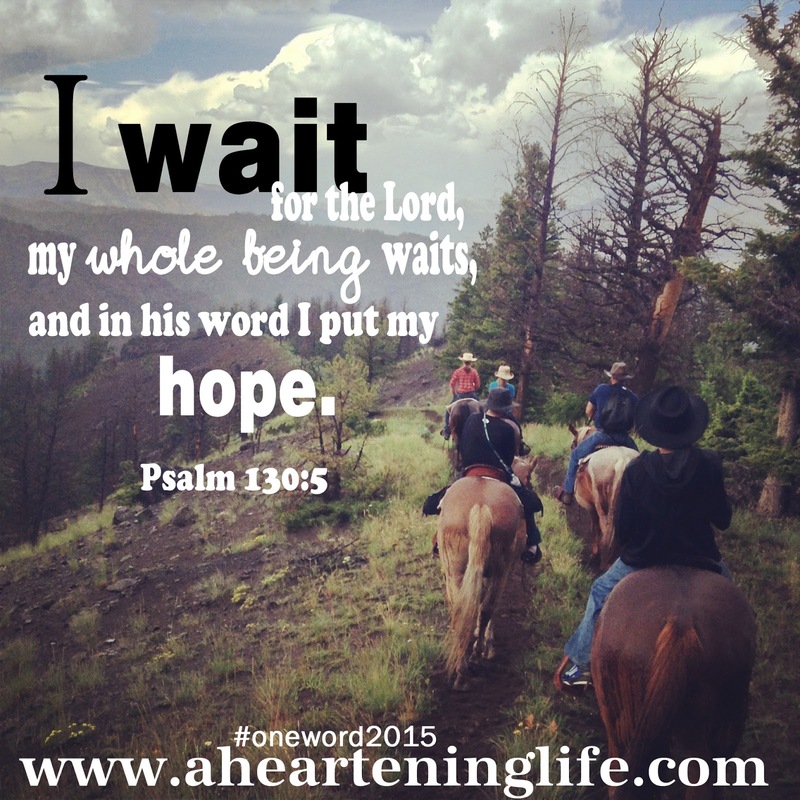 So when I prayed this morning about a word for this year God simply said, "wait." I am already asking, "What does waiting look like?" And He reminded me about riding horseback in a thunderstorm on a mountain in Wyoming when there was nothing I could do, but trust, pray, and wait. I am quite sure I am embarking on another challenging journey that I trust God will use for my good. "I wait for the Lord, my whole being waits, and in his word I put my hope." 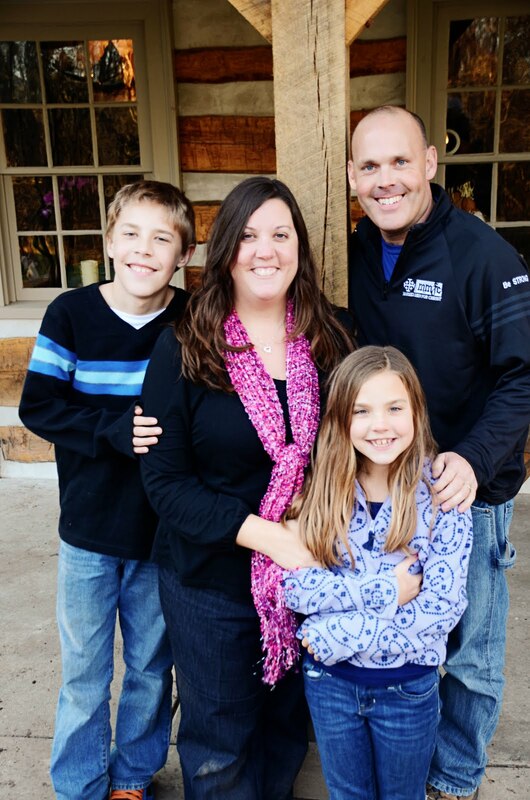 Also linking with the #GiveMeGrace community over HERE.